What are Equity Release Schemes in UK? The equity in a property is the difference between the current open market value of your property and any loans and mortgage outstanding on it. So for example, if you have a property that is worth £100,000 and an outstanding mortgage of £40,000, the total equity available in your property would be £60,000. As another example, if your house is worth £150,000 without any outstanding mortgage then the total equity in the house is £150,000. Equity release schemes help you access part of the value of the equity in a property. If you are looking to “unlock” the equity in your house then we can help. 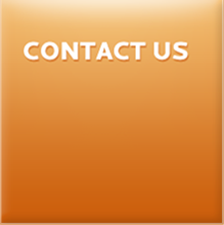 We specialise in helping people convert their equity into cash. That means either getting you a regular income or a lump sum cash for the equity that is in your house. Many people believe that releasing equity means that you have to leave your home. In fact research by Safe Home Income Plans (SHIP) shows that around 70% of people think that they have to leave their house after releasing equity from their house. However, the truth is that you can stay in your house until the end of your life as long as that home remains as your primary residence. Another common misconception is that it is not possible to relocate after you have released equity from your house. As many as 50% of people surveyed by SHIP assumed that equity release means that you have to remain in the same house. However, your plan can be transferred to another suitable property. As many as 40% of us are concerned that if we release equity from a property, it will mean that our children will pay off your debt after you die. However, this is untrue because the amount of equity that you release is never more than the value of your home. Your children will not be burdened with any debt since the resale of your home will clear the outstanding debt. Additionally, using a lender operating under the SHIP scheme provides the no negative equity guarantee. This guarantee ensures that your beneficiaries will never have to settle any shortfall between the sale price of your home and any outstanding loan plus interest. Despite some of us worrying about the safety of these schemes, as long as you select a company that is a member of SHIP, you can be assured that you are protected under FSA regulation. As many as 67% of us think that once we release equity from our properties, our family members will not be left with an inheritance. Althoughthe schemes reduce your estate value, when you die or move into permanent care, the proceeds from the sale of your property will not only clear your loan (plus interest) but any remainder will be handed out to beneficiaries. The cash that is released from your house can be used for any purpose. Many people release equity from their homes to use the cash for personal reasons. There are no restrictions on where you can spend the money. Whether you are looking to renovate your home, looking for extra cash for an improved living standard, looking to pay off debt, releasing equity for your family or looking for extra money for investing you can use the money for any purpose. 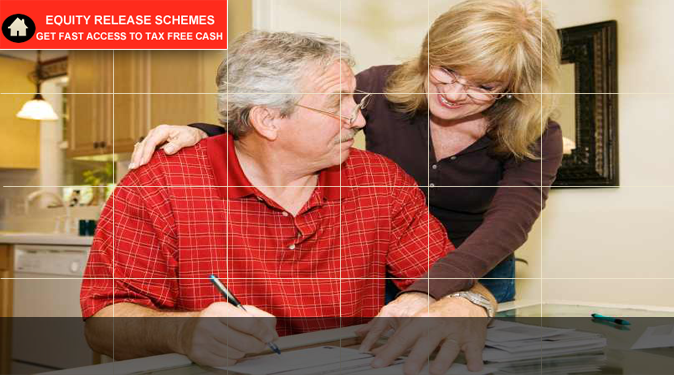 Any cash released from an equity release scheme is tax free. However, it must be noted that any extra income earned as a result of investing the cash may be taxable. There are no hard and fast rules about how you can receive your cash. The cash that you free up from your property can be received in accordance with your preferences and in accordance with your circumstances. For example you can choose to get paid the money all in one cash lump sum amount or you can choose to receive regular income. You can even decide to receive the money in a combination of income and cash lump sum form at times agreed with your lender. You can agree the various options with your provider to make sure that the money you receive is utilised to best suit your financial requirements.. There are two common types of plans available; one is known as the lifetime mortgage and the other is known as a home reversion plan. With a lifetime mortgage you basically take a portion of your home value as cash and interest is rolled over during the lifetime of the loan. So let's say you are aged 70 and you take out £50,000 from a house valued at £200,000, the interest will start rolling up at the specified rate every year. So in this case you will have £150,000 left in your property but the interest will continuously roll up on the cash (£50,000) released until you die (or until you are taken into care) to ultimately reduce the equity in your home further. Most plans have a no negative equity guarantee where if the loan plus interest reaches more than the value of your house, your estate does not have to end up paying any shortfalls. The other type of plan is known as the home reversion plan and with this scheme you are essentially selling a portion of the house to an equity release company. So for example if you sell 50% of your property to a company, the company will sell your home and get paid 50% of the property value when you die (or when you are taken into permanent care). One thing to note about the home reversion plan is that although you are protected if your house price falls in the future, you will not be able to benefit from any increases in house prices on the share of equity that you have sold to the provider. Having said that, you are fully entitled to benefit from any price rises on your share of the equity and this can be passed on to your beneficiaries when your house is sold after you pass away or if you are taken into permanent care. The equity in your home can be accessed either as income or cash. These plans should not be confused with sell and rent back schemes that are offered on the market. Equity release schemes are quite different to sale and rent back schemes. 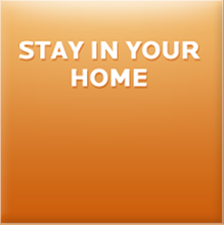 If you have sufficient equity locked in your house then click here for some free and independent advice. We will review your application with you and help you realise the best scheme for your financial circumstances. 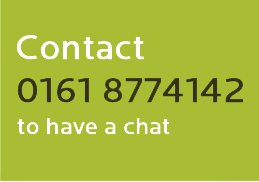 Contact Us for a free call back to speak to a qualified and experienced equity release expert to get your application under way. 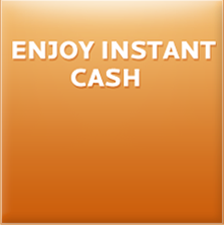 We can process your application quickly and help you obtain cash or income within days. Call us to get started now and get paid the cash that you want for the finer things in life. If you are 55 or over then complete our online form. Otherwise you can use our sell my house fast service to release equity if you are aged below 55.